I’ve been really impressed by the pace of construction of the sparkly-new bypass-of-the-bypass since I’ve got back. Apparently this started in late October, and as I walked by today the road was just about ready for sealing. The new NZTA website doesn’t seem to offer any drawings or maps of this, so for those who haven’t had the chance to see it, I took these pictures a couple of weeks ago to give you an impression of the route. 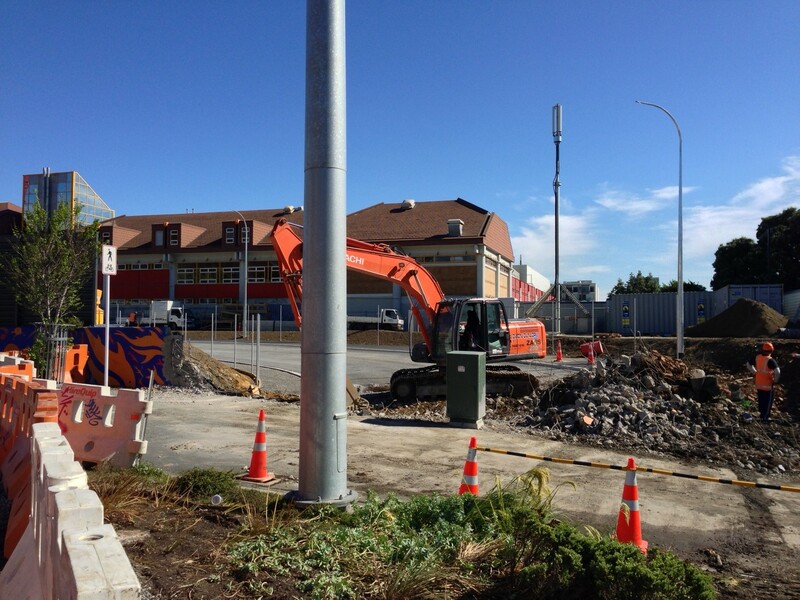 It’s always interesting when you go digging around in Te Aro. In this case the site has a lot of military history and the digging unearthed these curious half-cylinder brick objects that you can see laying beside the road. These formed part of a gun pit that was used for training on during the 1880s Russian Scare. You can find out more about the archeological investigation here. Apparently there’s also a 13 ton Armstrong gun from the same era laying buried near the Carillon, maybe time to put on the fedora and get out the shovel. There’s no time for drawings – just build it already! Actually, that is so wrong – they have obviously spent a lot of time and money getting the drawings right, so that this road could magically appear from nowhere. 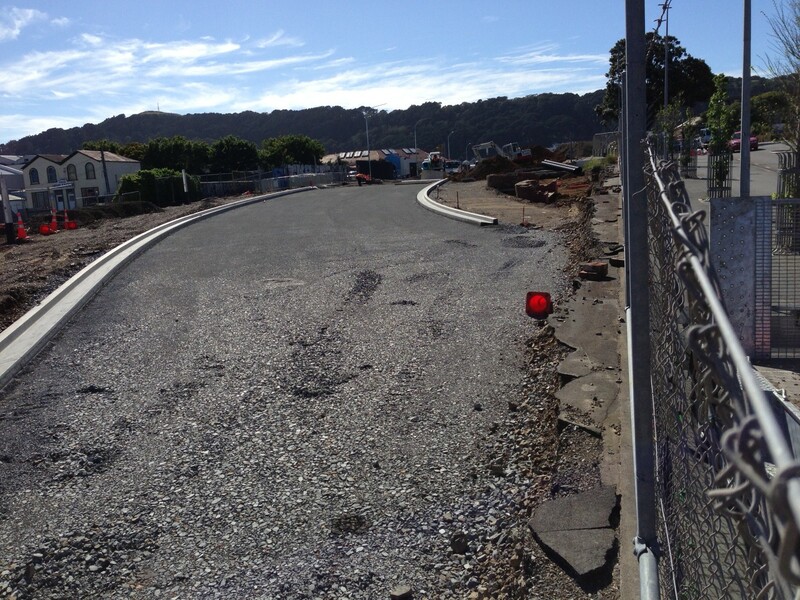 Seeing as the change from driving at grade, to driving underground (for the completed trenched tunnel) was announced back in August, and construction of this road started in November, that only left NZTA with September and October in which to design it, draw it, tender it etc. Lightning speed. unless the decision had been made before it was announced……. Starkive – the gun apparently had a 4 mile range. Which meant that if you could see the harbour, you could hit it. In fact, if you had a good enough spotter, and some decent communications, you’d just about be able to fire right over the top of Mount Victoria and hit something in the channel, if the Russkies decided to sail in that way. Of course, if you had the angle of inclination just a bit out, you could take out Miramar instead…. Flat White – you’re so right. Obviously it was all planned before – so the real question is – at what stage did they decide to change form Overground to Underground – and what was it that made them change? 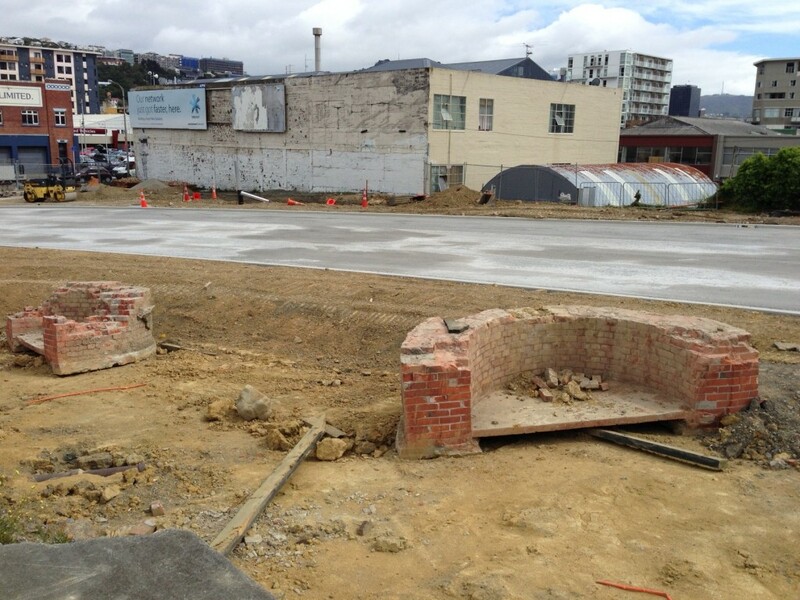 We’ll never know – the National War Memorial Park (Pukeahu) Empowering Bill doesn’t give any clues… But were the NZTA actually planning for the Undergrounding, while still saying officially that it could never / would never be done?